Mahj is more than just a game, as we all know. It brings people together that we would never have been fortunate enough to meet otherwise. We all have great stories on our “coming into Mahj life” so I thought I would share mine with you. When I was 4, my dad passed away. My mom’s friends taught her the great game of Mah Jongg in order to get her out and past this most unfortunate turn. She was 32 with 3 children. My mom would play two nights a week…Tuesdays and Thursdays. She often would allow me to sit quietly and watch, but not say anything!! In just a year or so, my mom became the go-to lady in our city for everything Mahj (so that’s where I got it from!). She represented the NMJL and was the only dealer in the city for Mahj cards. I can still remember the lines that went around our house, both front and back door, of women lined up to pick up their cards!! I believe at that time the cards were about 35 cents and my mom made a big 5 cents a card for selling them. Hey, that was a lot of money for us in those days. She also sold Mah Jongg sets and every year attended the Mah Jongg tournaments in the Catskills! Now, the only sad thing about this, my mom would not teach me how to play. She always would say it was an adult’s game and not for children. Unfortunately, many precious years were lost, both of a time when we could have bonded (which really never did happen) and my playing the game! In 2004, I was reading over the continuing education program from my son’s high school when I noticed someone was giving a class in how to play Mahj. I was excited!! Basically, I knew everything about the set, just not how to read the card to play. So, off I went!! It was the highlight of my life!! As it so happens, my aunt passed away that year and my cousin gave my mom her set which is a light pink Royal set that my mom had actually sold to her back around 1956. That same year, a co-worker of my husband’s was going to China, so I asked her to look for something “old” for me in a set. Just north of the Vietnamese border she found this unbelievable bone and bamboo set in a wood case unlike any I’ve ever seen before and brought it back home. My only problem, no numbers on the tiles. I kept it for a short period of time and then was asked to come back to the Mahj class to play with the new students on their last night of that year’s class. I brought the set with me and asked the teacher if she was interested in buying it. She was and did! (Wish I had that set back now). That was my beginning of selling and trust me, I’ve sold a ton of sets since then. Vermont might be small, but my name got around quickly. I have had people call me that vacation up here during the summers to buy sets. Last summer, I had a gentleman from the DC area call me, asking if I would teach him the game. He came one day a week all summer and then bought a set from me. The last day he came, he brought two of this wife’s friends to play. It was such an honor to bring this man into “our world.” Anyways, needless to say, like all of us, I love the game and it has given me a world of friends that are so special in so many ways to me. Mahj is more than just a game, as we all know. It brings people together that we would never have been fortunate enough to meet otherwise. Yes, I did get to play with my mom. She is now 91 and I have to tell you, we NEVER had a good relationship, but Mah Jongg changed that. About 5 years ago, I went to where she was then living and played with her and a few of her friends. My mom was still a fast player! It was the 2nd or 3rd hand and another lady threw a soap – I called it for Mahj and she called it too for Mahj, but I was next. Needless to say, she was NOT happy with me. Throughout the day, her friends gave me a great compliment by saying that I must have learned from her since I played as good, if not better, than she did. I bit my tongue and just said thank you! BUT I got to play with her a few more times before she moved to Texas to be with my brother. About three years ago she moved to New Jersey to another brother’s home. Two years ago, she had to go into a nursing home…AND she said that I should take her Mahj set. My brother wanted to give it to his then girlfriend when I explained to him what it meant to be able to play with your mother’s mahj set. I told him he would have to fight me to do that. 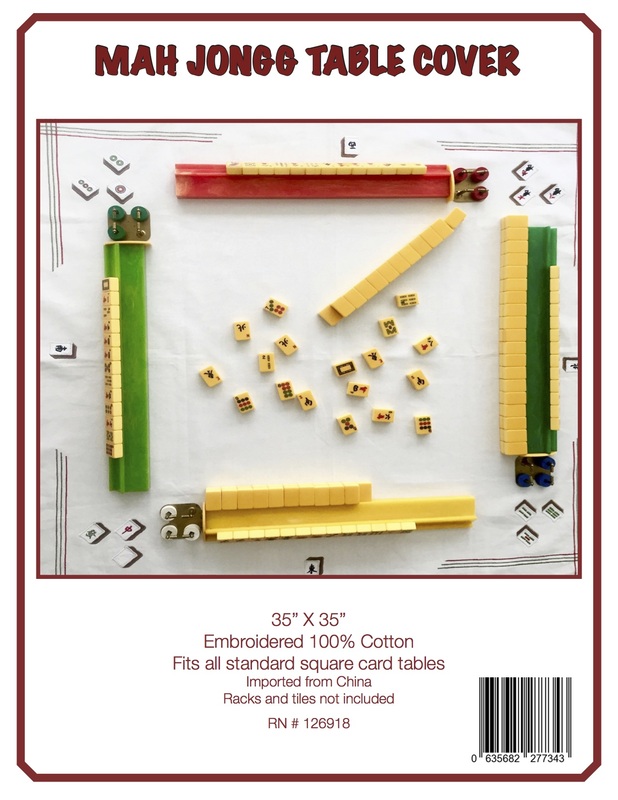 But then, I also remembered in my mom’s last will that among the few things she designated to me, was her Mah Jongg set! YEAH! So, I have that now and use it occasionally. For her 90th birthday, I made my mom a quilt using materials that were things she enjoyed in life. Major fabric was Mah Jongg fabric. She loves it! A quick funny….my mom’s sister – aka my aunt – would play with my mom often over the years. Her daughter came to visit with her daughter who was about five years old at the time. Along with a 4th, they were playing when the granddaughter started talking in French. No one else spoke French, but she was learning it in preschool. I later heard from my cousin that her precious little daughter was going between Grandma, my mom, and the other lady, telling my cousin their tiles in French! What a hoot!! Oh my gosh, the stories!! AND I can tell you, I would bet I had more aunts than anyone else in this country. They were all my mom’s Mahj friends, but we were never allowed to call someone by their first name, so it was always Aunt This or Aunt That. Of course, you have my permission to print any part of my story. While it isn’t the history of the game, it is the history of how people come together because of it. Where I would not have any bond with my mom, I do because of the game. AND because she is a sister of Mahj, and not my mom, I can see her in a different light than that of a mother. I think that makes some sense!! I know you all will have lots of comments about this wonderful and heartwarming story and I cannot wait to hear from you. Much thanks to Jan for sharing this very personal history. This entry was posted in Mah Jongg and Me and tagged bone and bamboo, catskills, Joy Luck Club, mah jongg on January 10, 2015 by Mah Jongg and Me. Which goes to show that Mahj really is “the tiles that bind”! Elaine – thank you so much for this wonderful comment. This is a terrific coda to Jan’s story. BTW, I am not sure where Tampa is in relationship to Naples, Boca, or Miami, but I am speaking and doing book signings in Naples on January 29th and 30th, in Miami at the Wolfsonian Museum on February 1st, and at the Boca JCC Sandler Center for Jewish Life Enhancement on February 2nd. If any of these locations are close to you, I hope you and your Mahj group will be there – I would love to meet you! Great story. Thanks for sharing. I know of Jan from a Facebook link. Jan thank you for sharing your touching story… It tugged at my heartstrings. Kat – I had the same reaction – I was feeling lots of different emotions when Jan sent this story to me. I am grateful that she was willing to let me post it on the blog – I think it is a really beautiful memoir. Hi Tracy – I agree! 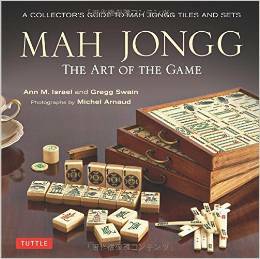 As a Mah Jongg teacher, I hear so many stories. The thread is often universal and at the end of the line, you grocked it Jan. It’s all about this wonderful community we all find and treasure. Thank you for letting us know your story.